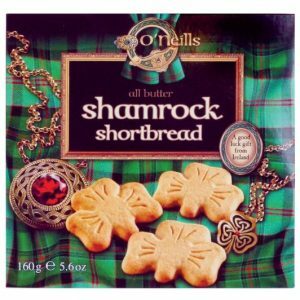 A bag full of tasty Irish chocolate treats. 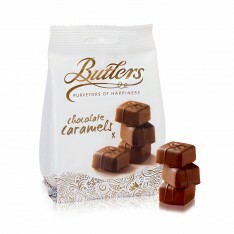 Each Butlers chocolate caramels bag contains an average of 16 deliciously smooth caramels smothered in rich milk chocolate. Just one bite is enough to make any chocoholic fall in love! 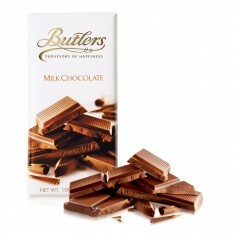 Butlers Chocolates is Ireland’s favorite luxury chocolatier. 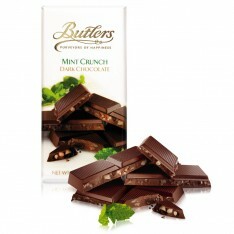 The company was founded in 1932 by a pioneering lady called Marion Butler who named her luxury chocolate creations Chez Nous Chocolates. 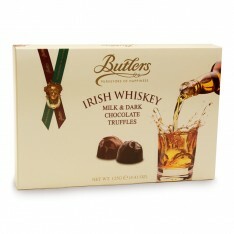 Marion established the company in the heart of fashionable Georgian Dublin, making her delicious confections by hand.